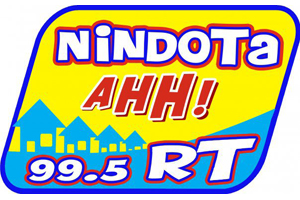 99.5 RT (99.5 MHz Cebu City) is a FM station of GMA Network, Inc. in Cebu City, Philippines. The station's studio and transmitter located at the Nivel Hills, Apas, Cebu City. The station's format is Original Pilipino Music and rock Music genre R&B.